With the use of advanced technology Acuvue Trueye was supposed to sweep the market off its feet, but that is proving harder than they might have hoped. With high quality alternatives available from Bausch & Lomb, Ciba Vision and Coopervision, life is tough in this market. As any lens wearer will know, big hype doesn’t mean the product can deliver. Like most of the other advanced products out there Acuvue Trueye uses silicon hydrogel technology to make it possible for continuous wear without risk of infection or irritation. Manufacturers across the board believe they have cracked the code that will make contacts more accessible and effective than they have ever been before and they’ve all offered variations on how best to put it into action. Many opt to wear contact lenses for the sake of convenience, comfort as well as vanity. Since contacts literally sit on the surface of our eyeballs, some issues are bound to arise with less than ideal care and hygiene. Although our eyes have a small surface area exposed to the environment, they need to be able to breathe and absorb oxygen from the atmosphere. In response to these issues, Acuvue developed a new range of 1-Day Acuvue TruEye contact lenses. This range of lenses is reputed to be a world’s first in daily disposable contact lenses, hence the inclusion of 1-Day in its name. Its innovation is due to a silicone hydrogel material with a moisturizing agent which allows maximum penetration of oxygen to our corneas. In allowing our eyes to breathe, we are assured of clear and fresh-looking eyes even after extended wear. Previous versions tended to hinder our eyes from absorbing needed oxygen, thus resulting in red and weary eyes. Materials used to produce 1-Day Acuvue TruEye contact lenses provide a smooth and wet surface which reduces friction against the surface of our eyeballs. As such, we are assured of less irritation on our eyes due to dryness as well as having a foreign substance on our eyes. We are constantly barraged with materials and reminders to protect ourselves against ultra-violet rays. In humble obedience, we slather on sun blocks and don appropriate clothing. However, we tend to neglect our eyes as we assume a wide-brimmed hat is sufficient to block out harmful rays. Although many sunglasses comes with UV protection, there’s only so much they can do to shield our eyes as UV rays can still come in contact with our eyes via unprotected areas. Perhaps that’s why some people take to wearing wraparound sunglasses which have very wide frames and rims, sporting a semblance to celebrities or aviators. 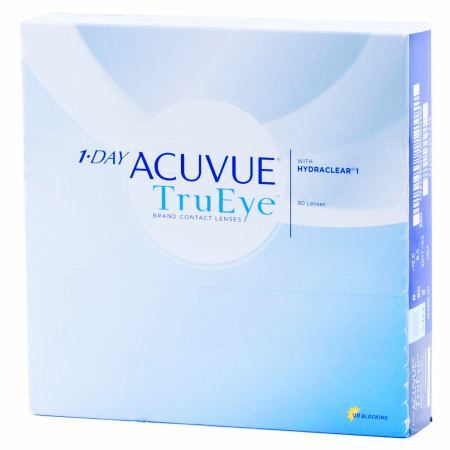 This disposable range of Acuvue TruEye contact lenses lays claim to the highest level of blocking UVA and UVB, assuring its wearer of maximum protection. Wearers of contact lenses are normally made up habitual users who wear contacts day in day out. There is also a minority group who is looking into ditching their glasses or just wearing contacts for specials occasions or sporting activities. Not forgetting those who may be less acquainted with contact lens wear, Acuvue’s daily disposable contact lenses are stamped with 1-2-3 inside-out indicators to assist in correct application. A visibility tint helps in easier retrieval in case a lens is dropped. Whichever group you may fall into, take comfort in knowing Acuvue’s lenses are able to provide you convenience, comfort and protection. If you submitted your rebate form along with required items, either online or throughout the mail, by July 31, 2015, you will probably get a rebate in 8 to 10 weeks at the time we received your forms. Check the status of your respective rebate by making use of our online Rebate Tracker . What will be the prepaid card and where will it be used? The prepaid card is really a debit card using a credit balance corresponding to the dollar amount of one’s rebate. You can spend your rebate money on whatever you decide to wish at any store where Visa cards are accepted. Is there one way will get discounts on ACUVUE Brand Contact Lenses? Some eye doctors offer deductions on some ACUVUE Brands, consult a medical expert to find out if he / she does. Undergo a Recent Eye Exam: The product must be purchased within 90 days after an eye exam and proof of the eye exam, with receipt, is required. Submit Following Items: Completed rebate form, minimum of two eligible box tops attached, eye exam receipt, product purchase receipt(s).